Like other tech stocks, Alibaba Group Holding Ltd (NYSE:BABA) is doing well, and Alibaba stock is up 74.2% over the past year. Alibaba’s plans for overseas expansion, which I discussed last year, suffered a setback in January when the U.S. government rejected its plan to buy Moneygram International Inc (NASDAQ:MGI), the world’s second-biggest money transfer service. But this won’t stop Alibaba from moving into other countries. Both Alibaba and its biggest rival, Amazon.com, Inc. (NASDAQ:AMZN), are interested in India. In November, Alibaba CEO Daniel Zhang called India “very important” for the company’s global strategy. IDC named India as the world’s fastest-growing smartphone market in 2017. More smartphones will enable more Indians to use their smartphones to go shopping, chat with friends, play mobile games, watch videos, and make payments. Indeed, last year India was #2 globally in app downloads, second only to China. For the companies making these apps, such as Amazon, Alibaba and Facebook, Inc. (NASDAQ:FB), this represents a massive windfall. What are Alibaba’s strengths in India? Alibaba dominates business-to-business e-commerce in the country. BABA also owns India’s most popular web browser, UCBrowser, which boasted a 50% market share in the country last year. Alibaba and its subsidiary, Ant Financial, own large shares in One97 Communications, which operates Paytm, India’s #1 mobile wallet. Last year, Paytm launched Paytm Mall, an e-commerce platform modeled after Alibaba’s Tmall. Paytm Mall recently claimed a gross merchandise value run rate of $3 billion. Factor Daily reported in February that Alibaba plans to invest $8 billion in India over the next four years. Let’s take a look at Alibaba’s moves in India and their likely impact on Alibaba stock. Last year, I wrote that Paytm would take “a page out of Alibaba and Ant Financial’s playbook,” bringing their business model to India. Alibaba created its payment app, Alipay, in 2004. Alipay began as the preferred payment method on Alibaba websites. Within a few years, however, Alipay had moved into China’s brick-and-mortar economy, winning acceptance at shops and restaurants. Alibaba and Paytm know that difficult competing in India’s fast-growing e-commerce sector is difficult, especially against companies like Amazon. Amazon has built a strong delivery network in the country and isn’t afraid of running losses for a few years. They are opting for a different strategy: connecting Indian smartphone users with existing brick-and-mortar businesses. Paytm is investing 5 billion rupees (around $77 million) into training merchants to accept payments via the Paytm app. It hopes to add 10 million merchants, especially in rural areas and smaller towns. Dealers in India can also sell cars and motorbikes on Paytm Mall. Paytm also invested in the Groupon Inc (NASDAQ:GRPN) spinoff Nearbuy. Alibaba and Ant Financial are also investing in Indian startups such as the online grocery firm BigBasket, and the restaurant finder Zomato. Alipay began as a simple payments service, but it now is a platform for a variety of financial services. Alibaba created a money market fund, Yu’e Bao, enabling users to earn interest on their cash balances on Alipay. Last year, this became the world’s largest money market fund. Alibaba also began offering users loans and credit scores based on the data it collected on their purchasing history. It also added wealth management and insurance services. According to a New York Times article from January, Paytm has 90 million active users. In November, Paytm teamed up with ICICI Bank Ltd (ADR) (NYSE:IBN) to offer a 45-day, interest-free line of credit to select customers. In January, Paytm announced the creation of Paytm Money, which will offer its users wealth management services. Paytm also launched the “Paytm for Business” app, which helps merchants sign up and create QR codes to begin accepting mobile payments. The company also wants to get businesses in India to pay employees via the app. This would help Paytm gain users, and encourage workers to spend their money at shops and restaurants which accept mobile payments via Paytm. Last month, Paytm rolled out Paytm Score, which gives its users credit scores based on their payment history. It looks like Paytm will also get into the insurance business, having registered two such companies last month. Alibaba also has a role in media and entertainment in China. It owns Youku-Tudou, one of China’s biggest online video services. Alibaba also owns 8.2% of Weibo Corp (ADR) (NASDAQ:WB), a company sometimes described as China’s Twitter Inc (NYSE:TWTR). Alibaba is also getting into the gaming business in China. In the next few months, Alibaba may launch a video streaming service in India. In January, Paytm and Alibaba-controlled AGTech Holdings Limited (OTCMKTS:AGTEF) rolled out Gamepind, a mobile games app. Alibaba may also be planning to invest $500 million in the Indian news app Dailyhunt. Success in India, a country of 1.3 billion people, would go a long way toward helping Alibaba expand globally. Alibaba stock would benefit greatly from the Indian market. 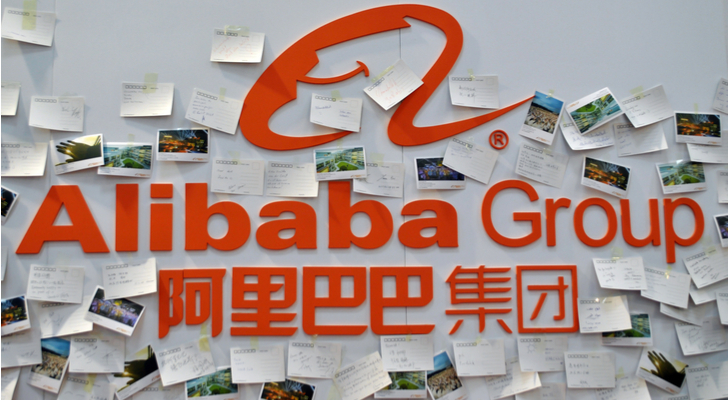 However, there are some risks to consider before buying Alibaba stock. Alibaba is a Chinese company, and China and India may not always see eye-to-eye. Last summer saw tensions between India and China over the Doklam plateau, which both countries claim. Some feared that war would erupt. Indeed, the two countries actually did go to war in 1962 over a Himalayan border dispute. Problems between these two countries could negatively impact Alibaba’s operations in India, as well as BABA stock. Also, as I mentioned in my past articles, investors in Alibaba stock don’t own shares in the company itself, but in a variable interest entity based in the Cayman Islands. The Chinese government restricts foreign investment in China’s tech sector, and this legal structure offers a workaround for buying Alibaba stock. Alibaba itself noted uncertainties in the Chinese legal system in a 20-F filing from 2016. Regulatory changes in China might spook investors and hurt Alibaba stock. Also, UBS recently called long Alibaba stock the most crowded trade. If you’re a contrarian, this is probably not the time to buy the stock. Article printed from InvestorPlace Media, https://investorplace.com/2018/03/alibaba-stock-india-expansion/.